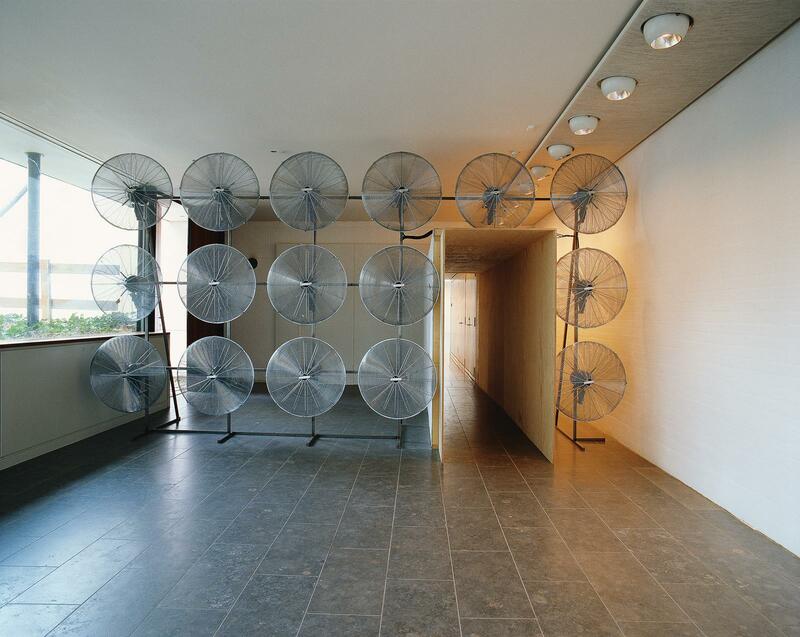 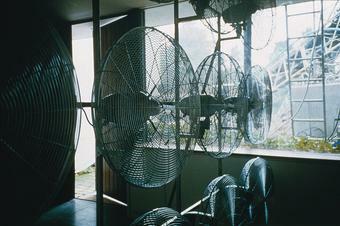 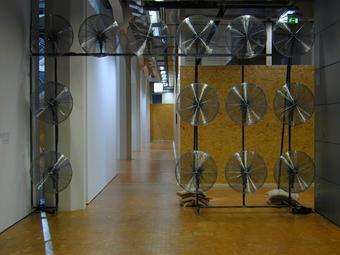 Installed at the far end of a curved museum corridor, a bank of 16 industrial fans generates a wind. 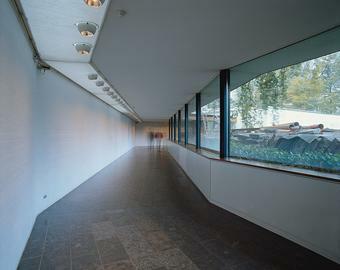 From afar, it is experienced as a light breeze, but intensifies as visitors approach. 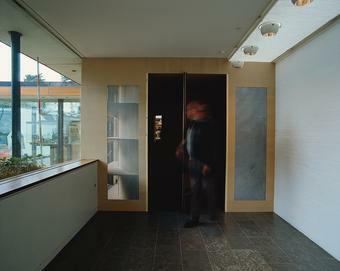 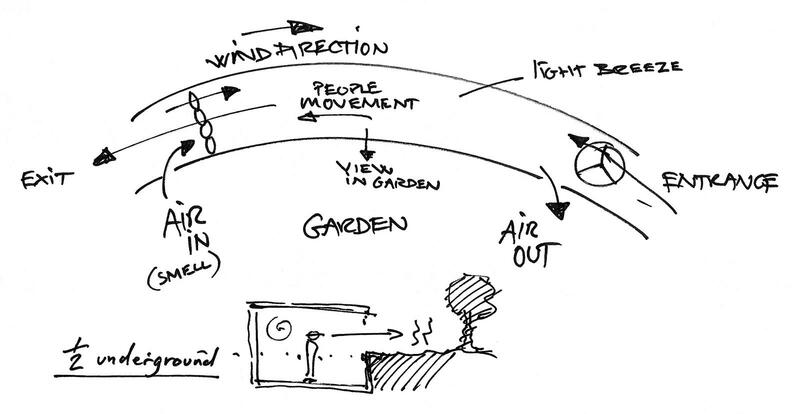 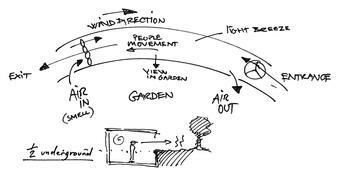 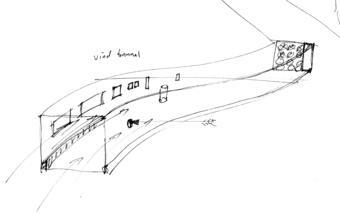 The emulation of outside wind conditions within the museum introduces a different perception of the interior space.